Everyone knows about the USS Constitution, or “Old Ironsides”, the USS Arizona, the Battleships Missouri, Texas and Wisconsin. But what of ships not so great, the LSTs, destroyers, support and supply ships? Let’s follow the history of one of those not so famous members of the 9th Fleet. May I introduce you to: MSO 458, the USS Lucid (Aggressive Class Mine Sweeper Ocean). The Lucid was one of 101 ocean going minesweepers (MSOs) built to keep shipping lanes and coastal approaches clear of enemy mines. To avoid triggering mines, they were constructed primarily of wood. MSOs served before, during and after the Korean War. They also protected the coasts of Vietnam, but then just faded into obscurity. The Lucid was built at Higgins Boat Works in New Orleans. 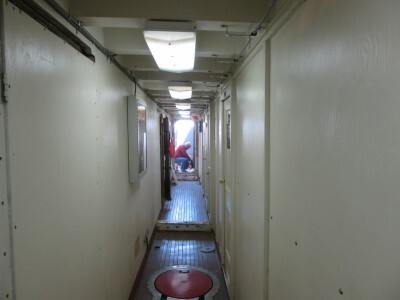 Upon completion, her new commanding officer arrived with his crew to put her through some extensive shakedown tests before departing to the Panama Canal on the way to her final destination and home port of Long Beach, California. The Lucid was commissioned on May 4, 1955 in Long Beach, becoming an official member of the United States Navy’s 9th Fleet. The Lucid’s only action came during the Vietnam War, where she patrolled the coastal waters searching for troops and contraband being smuggled to the Viet Kong. When she returned stateside after the war, the ship that cost $9,000,000 to build was auctioned off for $35,000. 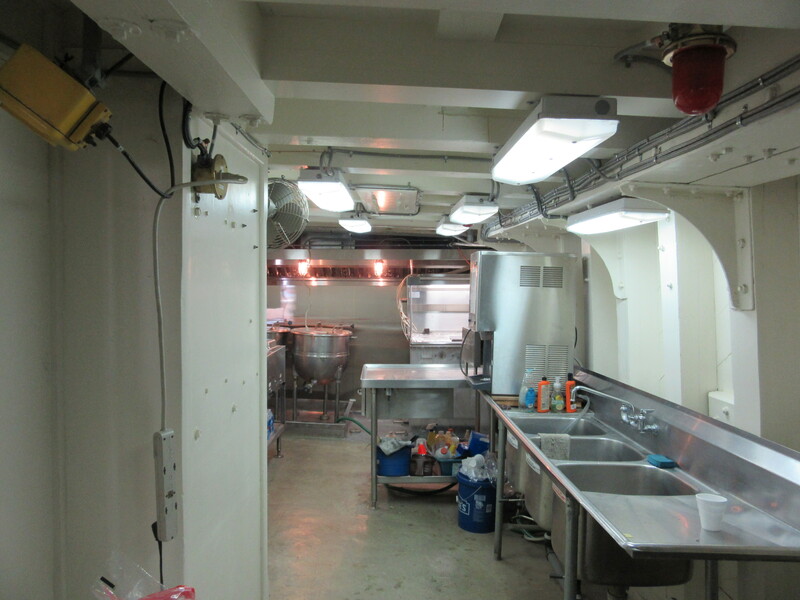 With the bang of the auction gavel, she went from being a Navy vessel to the man cave, party boat of a San Francisco bachelor. For years she was moored at the southern end of a pier, visible by anyone traveling across the San Francisco-Oakland Bay Bridge. Over time, she was allowed to become a derelict and her next owner cut a hole in her side, gutted the engine bay and turned her into a warehouse. 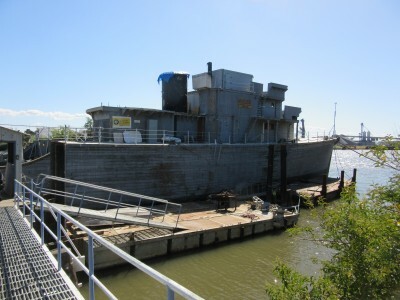 Eventually the she was towed out to the bogs at the Oakland Estuary and moored. Not long after the Lucid was sold to her first owner, the Department of the Navy decided not to sell any of their wooden hulled ships. They were just too expensive for the average person to maintain. So as all of the Lucid’s sister ships were decommissioned, they were scrapped. But out in the Oakland bogs, the Lucid was still afloat–although listing slightly to one side–rotting away and providing a roosting place for sea gulls. One day a tug boat motored up, removed the Lucid’s moorings and towed her away. She was probably wondering ‘What’s happening to me now?’ She was towed past the Oakland ship yards to her final destination—and new home—the Port of Stockton. Today the USS Lucid belongs to the Stockton Maritime Museum—thanks to a generous private donation. She is docked next to the San Joaquin Building Futures Academy. The Academy honors the rich shipbuilding history of Stockton, while providing educational and instructional preparation for at-risk students seeking a better future. The USS Lucid is now being restored to her original condition. 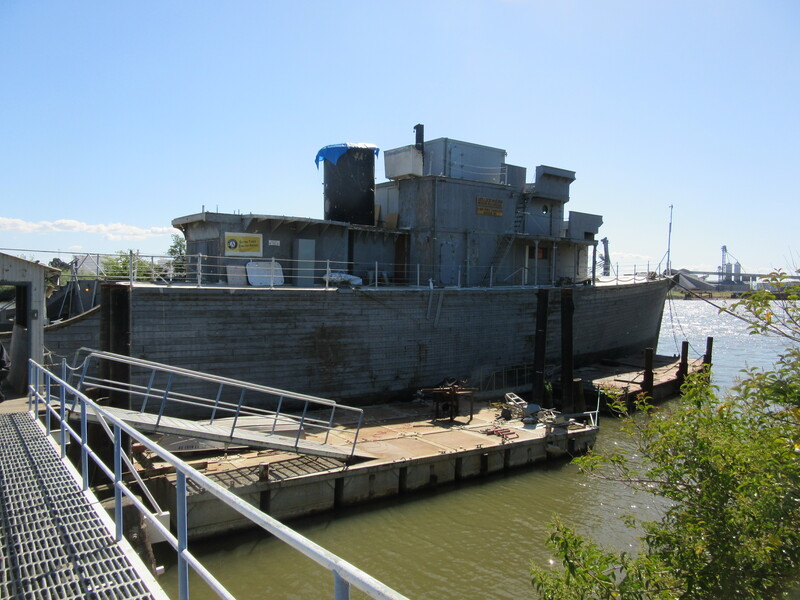 She will eventually become a permanent floating museum at the historic downtown waterfront area of Stockton, where she will tell the story of the last of all wooden US Naval ships to navigate the oceans. And now, you might ask (just like Paul Harvey), what is the rest of the story? I have twice walked the decks of the USS Lucid. In May 1955, I attended her commissioning service at the Port of Long Beach. Her first commanding officer, Lieutenant Commander John H. Graham, was my uncle–my mother’s youngest brother. 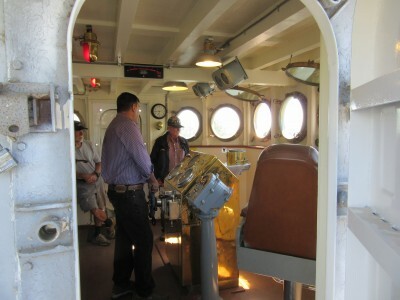 In April, I was able to walk her decks again, getting the grand tour of the present restoration project. I hope I can be on her decks for her grand reopening at the Post of Stockton, but that’s going to be quite a few years yet. Great story!!! Learned some history today.